Generally, almost all existing platforms in the Forex market have their own conveniences, and there are as many opinions as there are people, but objective parameters can make the real difference. Functionality, speed, interface, tools and security should define your best choice. Yet we have to note that trading is all about taking the right decisions at right time and, this is where web traders come handy. 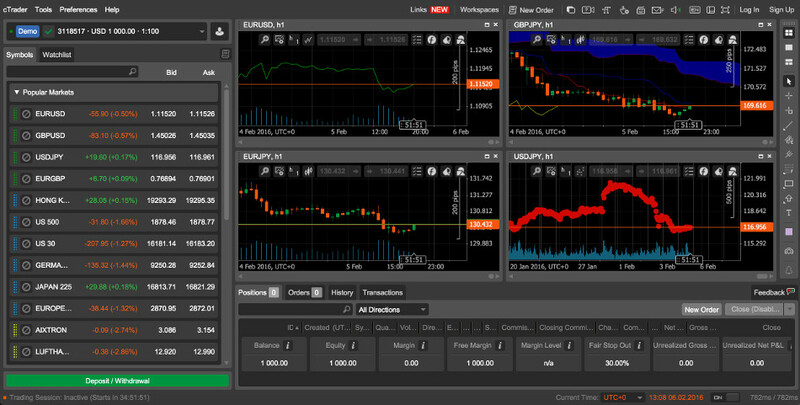 With a web trading application, you can easily fill orders without installing any software. Today we will take a look at 3 most interesting trading platforms available in your browser. MT4 Web is a web platform to access your MetaTrader trading account in real time via internet browser. It is a new version of MetaTrader 4 platform that was long awaited by many trading enthusiasts. Let’s see if its functionality and features match the expectations. MetaTrader 4 is known as a reliable and convenient trading platform. Thanks to the wide functionality it became one of the most popular among experienced traders. Modern technology, rich functionality, and intuitive interface allow carrying out transactions based on technical and fundamental analysis of the market. But the recent web version excludes many of the old conveniences as it is found in an incipient phase. Interface – the web version of MT4 has an intuitive interface which has some differences from the usual platform that you might be familiar with. The chart loads quite fast and doesn’t require much traffic. You won’t have any problems when trading since the web terminal works without any misses. What is included? – Those who had to deal with the usual MT4 platform may find it quite empty. For example, you can use only 5 basic indicators: Moving Average, Envelopes, Bollinger Bands, Momentum, and MACD. Fibonacci lines are also included. When you compare this achievement with over 50 technical indicators and the ability to customize your own indicators, which are the built-in options of downloadable MT4 platform, then we can presume some dissatisfaction of MT4 fans. However, the developers promised to add other technical indicators in the future. The cTrader web terminal is one of the latest technologies in the field of online trading. It is designed to work with ECN-accounts and combines advanced tools and features to satisfy the needs of both beginner and professional Forex traders. Zoom option with 6 levels for in depth view. Chart type option with 5 types of charts: bar, candlesticks, HLC chart, line, and Heiken Ashi. In the middle of the chart you will find the Buy and Sell buttons and a volume selector. The indicators can be added on the chart by clicking on the indicator menu. These are organized by types and come with submenus. Using the color setting you can change the chart color and then save it to your chart templates. The last chart sign on the top of the chart screen is the objects list, which shows you a list of all objects and indicators currently used. One of the useful tools is the Quick Trade option. Quick trade is a setting that leads you into the market orders with one or two clicks. 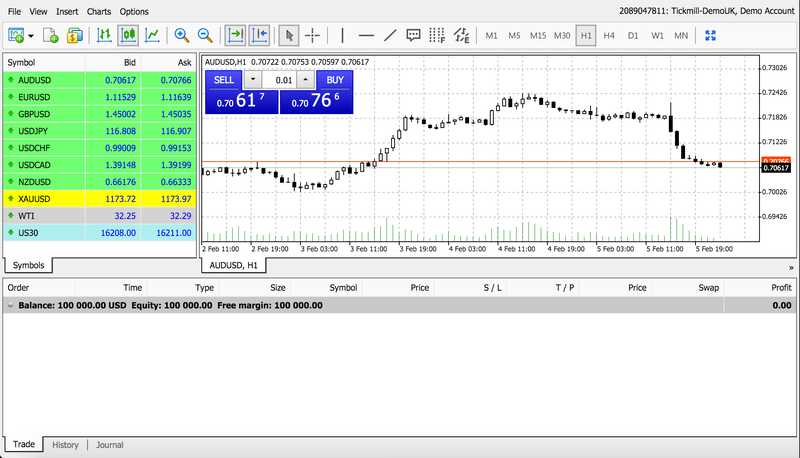 The quick trade setting can be found at the top right of the platform in the Quick Links toolbar. Quick trade is disabled by default, which means that clicking the Buy or Sell will open the market order window where you can confirm the position you like to enter. After activating one-click mode, you can enter an order by simply selecting a volume from the Market Watch and then click Buy or Sell. 1)Multi chart mode displays all your open charts in a fixed layout on your screen. You can swap chart positions by clicking and dragging from the upper left corner over any chart, but you cannot change chart sizes. 2)Single chart mode will expand the active chart to fill the entire chart area on the platform. Then you can view full screen every chart by using the tabs at the top. 3)Free chart mode will show you all your charts on screen like multi chart mode, but you will also be able to resize these (as shown in the image below). It is quite hard to mention the disadvantages of cTrader Web, but to be objective we can say that this platform has just an extremely wide scope of features. If you are a starter, you may be simple overwhelmed by all of the indicators, objects, buttons and other bells and whistles. This way it may be hard to actually focus on trading and analyzing the chart. UTIP is a relatively new web platform and it is a great alternative to what you have seen above. The Forex beginners can enjoy its great convenience because it is simple and intuitive. Unlike MT4 Web, UTIP has its toolbar on the right side, making it easier to access. 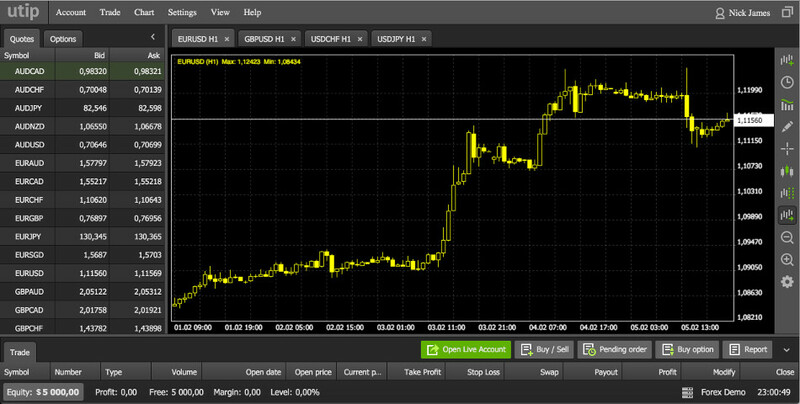 UTIP has a strong capacity for technical analysis, beautiful design and a user-friendly interface. Forex and Binary – UTIP fully integrates the two markets: Forex and binary options. Trading takes place in the same terminal on a single trading account. For the two markets there are available the same tools and functions. Interface – The terminal has conveniently located buttons so that the trader can access any feature right from the main window. This allows the trader to quickly perform operations on opening and closing of transactions, change current positions, view reports, and more. The hotkeys are great for scalpers, who cannot enjoy such conveniences with MT4. Design – Modern dark color scheme looks good on personal computers, as well as on laptops, PC tablets, and mobile devices. Dark design is not only stylish and fashionable, but also comfortable. The bright color scheme is also available. It is suitable for traders with more conservative views. Technical analysis – A full set of tools for technical analysis with multiple functions meet the needs of any professional trader. UTIP is the only terminal in which the minimum time frame is 5 seconds and the maximum is one year, which is a great advantage against MT4 or cTrader. Indicators – with UTIP, there is a huge selection of these (more than 30). You can find the indicators arranged in groups and they can be customized for individual needs. If you wish, you can add your own indicator. The terminal also has a function of drawing on the chart. It comprises 29 elements for drawing. Among them: lines, canals, and other icons. This gives greater freedom to the trader. There are quite a few 3rd party trading platforms available and it is often hard to find the most suitable one. While MetaTrader 4 can be seen as a viable alternative due to its availability, it is advised to take a look at an alternative supplied by UTIP as it can offer a few more advantages. If you are an advanced trader, cTrader can be an interesting option too.